Traveling in your RV can be a practical answer to visiting with family or the beginning of a new family tradition. Either way, there are couple things to remember if you are going to be in cold weather. Aside from that, the holidays can be just as fun and festive in your RV as they are in your brick and mortar home. We would like to share a few tips for holiday travel in your RV. Holiday cheer in your RV! If you are headed to warm climates for the holidays, send us a sunny beach postcard. If you are headed to colder climates, we have a few tips for conquering the cold and keeping your RV safe. Winterize your RV’s water system so your pipes and tanks don’t freeze. Fill your propane tank BEFORE you hit the road. Invest in a quality electric heater, so you don’t have to burn quite so much propane. Invest in a heated drinking water hose if they’re going to be camped somewhere with a water hookup. The stockings can even be hung! Just because you are limited on space, doesn’t mean you have to limit your holiday cheer! Just try to think smaller scale. 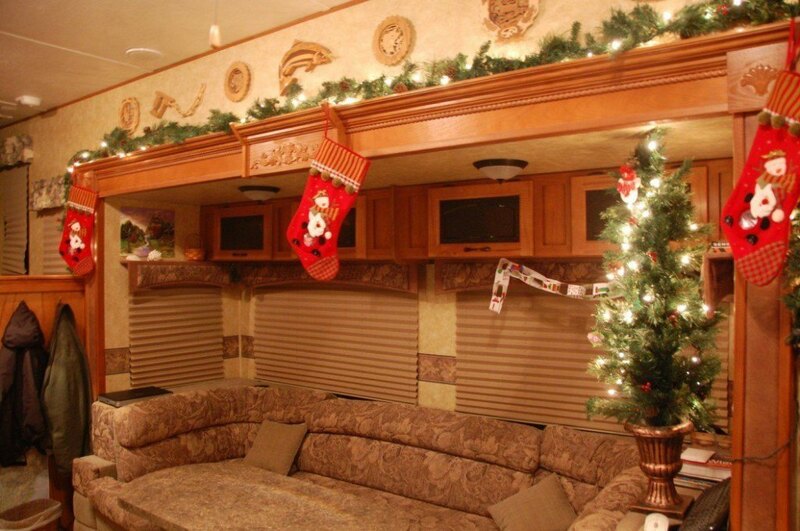 Here are a few fun tips for festive holiday decor and spirit in the RV. Battery-operated light strands are handy to hang wherever you think they look festive. Window decals are fun to use for holiday cheer. Instant Pots, grills and crock pots will help you make the perfect holiday meal. Toss in a few holiday pillows and throws and VIOLA! 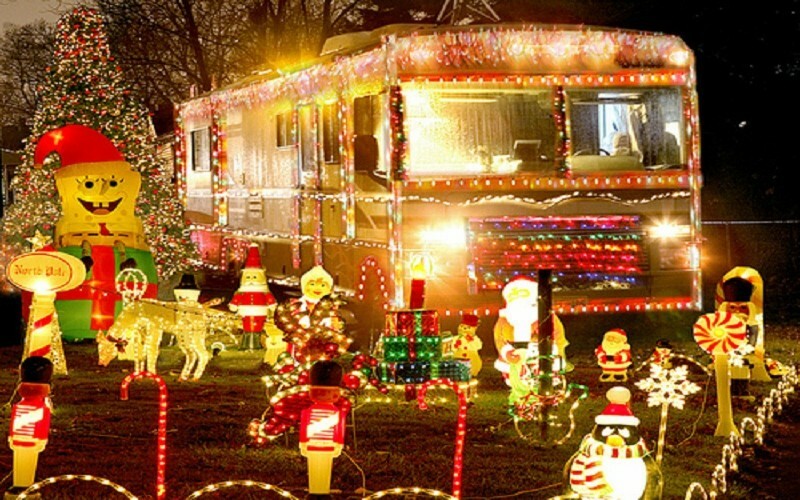 No matter where you decide to spend the holidays, you can make your RV just as festive and any other place you would spend the holidays. Just remember it’s not where you are but who you are with. Contact Moore’s RV today if we can assist your holiday travel in anyway. Happy Holidays!